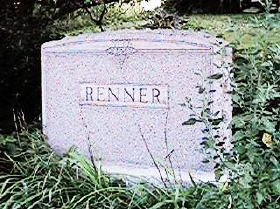 The Renner Family Cemetery is located at 19366 Loran Rd. about 10 miles north of Mt. Carroll. 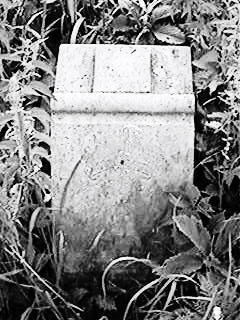 It is a small cemetery on private property. (Click on the map for a larger view) The township has made great strides to clean up this cemetery and keep it looking nice. Bev (Renner) & Bob DeFord sent us the picture at the top of the page taken last October, 2004 which shows how nice the cemetery looks now. On 16 Aug 2003 I took some pictures and wrote down the following information. I'm sure there are more stones there. 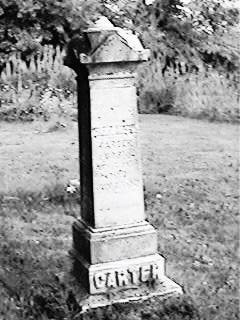 The Carroll County Genealogical Society may have more info on additional burials, military info, obituaries, etc. I hope you will contact them. These are in no particular order, just as I found them as I walked around the cemetery. 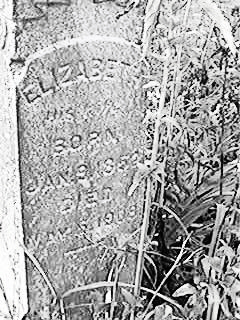 Elizabeth, his wife 08 Jan 1852 05 M?? 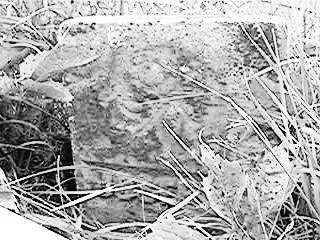 1908 There may be more on this stone but I didn't see it. 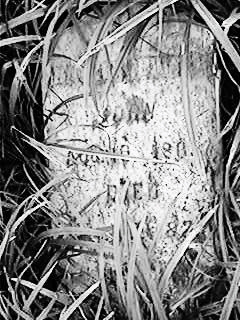 Joseph F., Son of R & E Renner There are at least two more stones next to this one that I couldn't read. 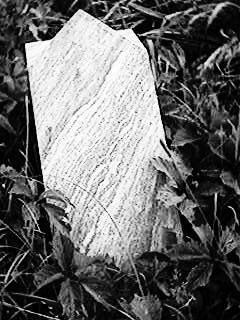 Collins This stone is behind the large Renner stone pictured above. I could not read any info. There may be other stones. Infant This one is slanted and I could not read it. 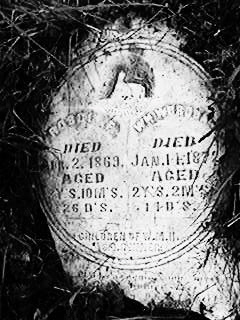 Sherwood E. Carter 07 Nov 1836 24 Jul 1921 On the other side of the stone, at the bottom, it says "Good Bye Dear Mother" and some other stuff I couldn't read. 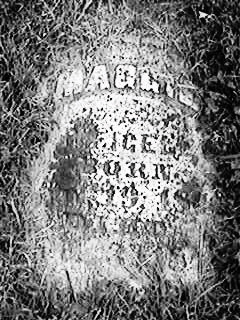 There are small stones to the east of this one that say Father & Mother. 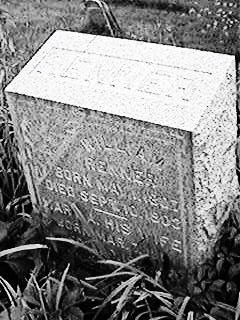 Bob DeBord who writes, "My wife is the great-granddaughter of Daniel and Alletta (Buckley) Renner. 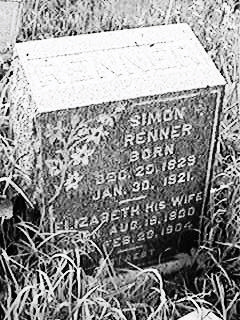 Daniel was the much younger brother of Simon P. Renner. This was due to Simon being born early during their father Johan's first marriage and Daniel being born very late in the second marriage."